Yes, i am convincing myself not to panic. I was busy working since Monday, and it’s already Wednesday. Reminds me that i have only Thursday to pack our bags. Just one day before we leave for our much awaited “long” summer vacation. Tomorrow, i still have to work, as well as on Friday morning. We will leave at Friday night, so i hope i can pack things up before i sleep tomorrow. The question is, “do i have enough time to pack for a 5-day trip? I will not just pack for myself, but for my hub and the two kids as well. OK then. It’s time to put my “Super Mom” shirt i guess. If being “forgetful” will be a sport, i will definitely win the gold. 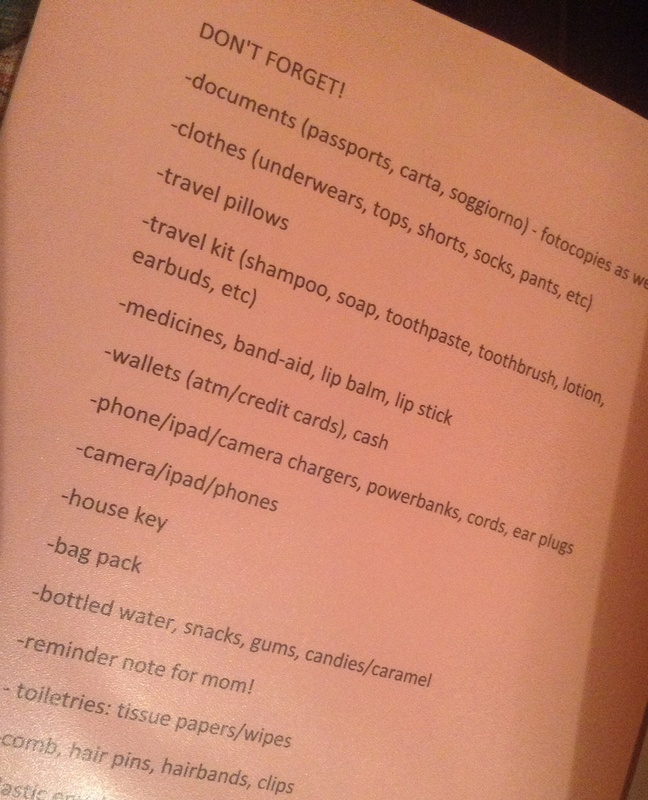 “Remembering what to pack” is a must, so i created the habit of listing “everything” (it could mean everything that i remember), so at least i have something to lean on (and blame on) while packing.